The difference between any novel and it’s screen adaptation is the level of detail in the world-building and character-development. Ancillary characters in ‘Game of Thrones’ on the screen are infinitely more rich on the printed text of George R.R. Martin’s novels; there are always sacrifices when adapting novels for the screen. 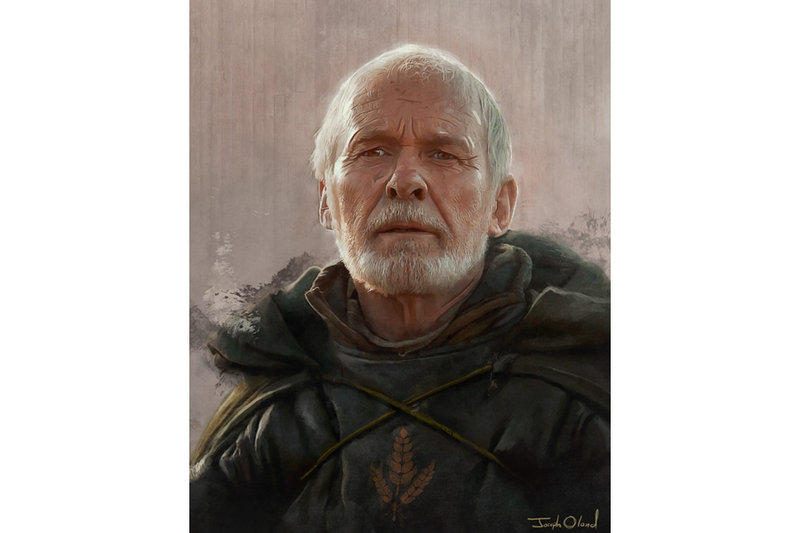 One of my favorite forgotten characters from “A Song of Ice and Fire” is the former Kingsguard Barristan Selmy, dismissed from his honored post by the brat King Joffrey Baratheon. Selmy is considered among the best swordsmen, and most accomplished warriors, in the seven kingdoms of Westeros. He has served in the Kingsguard with honor for nearly forty years, under both Aerys Targaryen and King Robert Baratheon. Of note is his campaign in the battle against the Kingswood Brotherhood, in which he slew their leader, Simon Toyne. Of greater note – especially for fans of the television show rather than the novels – is that Jaime Lannister squired for Selmy during this battle. Aged sixteen, Jaime acquired the majority of his skill under the tutelage of Barristan Selmy. Thirteen years before the events of the television series, Viserys and his sister, Daenerys, were forced to flee the continent of Westeros in order to escape certain death at the hands of the war-hammer-wielding rebel, Ser Robert Baratheon. Viserys is depicted as an almost inhuman twit, with an appropriate level of arrogance and cruelty to match. He is an ambitious political creature, given to unpredictable, violent mood swings. Although it is merely subtext in the television series, he doesn’t just arrange to marry his sister, Daenerys, off to Khal Drogo – he sells her. The reason for this arrangement is to secure Drogo’s allegiance – and the might of Khal Drogo’s army – with a means toward reclaiming the Iron Throne of Westeros. Frustrated with the wild and unpredictable ways of Drogo and the Dothraki people, Viserys does ultimately receive the golden crown that he demands, the he believes is his birthright – but it isn’t the crown he had anticipated. Volumes could be written in the analysis of Cersei Lannister, one of the most interesting and complex characters in Game of Thrones. From a haunting childhood prophecy to the conclusion of season six, we have seen her character travel into ever-colder and devious territory. With her three children deceased, the prophecy has proven itself to be accurate; as the series moves toward its conclusion, we will have to remind ourselves that the final part of the prophecy includes her being killed – strangled, in fact – by her younger brother. The real question is whether Tyrion will be the one to end her life, or if it will be Jaime? Cersei has won the throne after the destruction of the Sept of Baelor and the suicide of her last living son, King Tommen, but she has few allies in King’s Landing, and fewer still in the rest of Westeros. Not even The Mountain can protect her from the forces that will be descending upon King’s Landing as the narrative moves forward.